Our Meals On Wheels mission is to promote independent living for homebound, frail and elderly people who have difficulty shopping or cooking for themselves. Our volunteers deliver meals, but they bring so much more. The smile and kind word exchanged at the client's door may be the only visit that person receives for the day. Many clients come to see the volunteers as friends...and this is true for volunteers who deliver every weekday as much as it is for those volunteers who only deliver once or twice a year. Meals On Wheels has many hands, many different faces, but each volunteer means the world to the person receiving the meal. 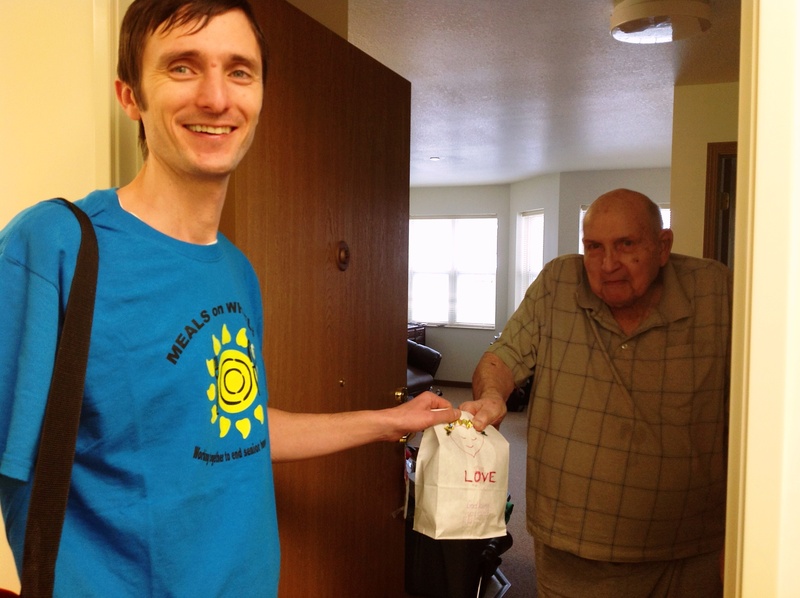 If you've got an hour or so to be a volunteer, please call Meals on Wheels of Macon County at 217-422-6611. Anyone can make a referral and all homebound seniors are eligible, regardless of income. Volunteer Drivers any weekday 1 hour of time.